Original in Slovenian, this English version is a translation by the author. Published here by request from the author. First published in this website on January 22, 2004. I live and work in Slovenia, Europe. I lead Galactic Tantra seminars and ama Cosmic astrology consultant. 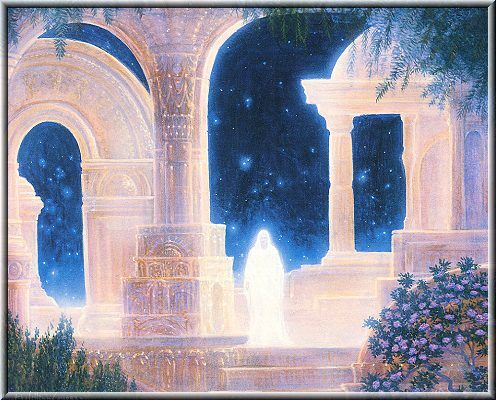 I began leading workshops about twin souls in 1993 and was very active in the following few years spreading messages from the Ascended Masters about the transformation that Earth is entering into. I also wrote a book about this transformation called ” Ascension Star” in Slovenian language. I translated it into English also but has not yet been published outside Slovenia. I spread knowledge about tantra, Light Body Activation, telepathic communication, group merger process and other higherdimensional teachings on group meetings and workshops in Slovenia, Croatia, Hungary, Italy, Germany, Czech Republic, Ireland and USA. I like to do workshops worldwide and I can travel anywhere if there are people interested to hear what I have to say. I am enclosing my program of activities. My contact phone number is celular: 386 40 236 600 and my email is antarion@volja.net . 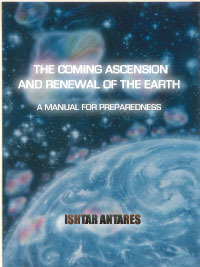 The source of my information is Ashtar and Krotron of the Ashtar Command, the Pleiadians and a physical source that once belonged to the Resistance Movement. I belong to the Antara StarFamily that originates from the Pleiades. The main body of the Resistance Movement came to Earth from Planet X with the aid of teleportation chambers in December 1999. They have settled down in underground bases that were emptied before in severe battles between the Dark Forces and the remnants of Agartha Kingdom and the so called Organization. The Organization was a forerunner for the Resistance Movement and was a leading resisting force against the dark ones throughout the human history. Between 1975 and 1999 they had their main command center about one thousand feet below the underground railway system of New York. When the weakened forces of the Organization were refreshed with members of the Resistance Movement they renewed together many underground dwellings and moved their main command center to a new location. Now the Resistance Movement has most of its locations under bigger surface cities between 100 feet and 8.6 miles underground. Most locations are between 150 and 1500 feet underground. All their locations are sealed hermetically and isolated from surface influences, such as viruses, dust, polluted air, micro/nanochips… The dwellings are constructed in a specific way to avoid undeground structures which were built by the surface civillization for its needs, such as electric installations, water supply systems, underground railway, mining tunnels, military installations, drinking water reservoirs, oil pipelines and drillings, scientific laboratories, installations and drillings…Some most important Resistance Movement centres are located under following cities: New York, Los Angeles, Salt Lake City, London, Munich and Ljubljana (in Slovenia). Locations that are close to the surface are sometimes lit by sunlight which is directed there with a special mirroring system. Locations that are in greater depths are lit with a soft dispersed light being emitted from free energy light chambers. Those dwellings are thermally insulated since surrounding rock has a pretty high temperature when more than few miles underground. The Resistance Movement consists of three concentric circles. The inner circle has few dozen members which are leaders of the Resistance Movement. Only those with extraordinary skills and talents and those that are willing to accept great responsibilities can qualify for those positions. The middle circle consists of hundreds thousands of members with special gifts for planning, organization, technology research and development, psychology, medicine, healing, spirituality, creativity, art, music…The outer circle are army forces. They are not soldiers as we know them on the surface but experienced interplanetary fighters who do not fight only with blind force but have reached a high level of spiritual development also. Their purpose is to liberate the surface of Earth from the Dark Forces and to assist humanity in building a new civillization. Money is not needed inside the Resistance Movement since they have technology that brings them everything they need in life. They use smaller amounts of money for their surface activities, which are not yet very frequent. Everybody inside the Resistance Movement does the work he is most talented for. Nobody is forced to work. Every work is done from an inner need for creation. Talents are encouraged and not suppressed as it is the case on the surface. Artists can create new music or excel in painting or sculpture. There are special museums in middle circle of the Resistance Movement with objects of art from Atlantis and other high cultures, especially Graeco–Roman culture, that serve as a source of inspiration. Everybody from the Resistance Movement has access to important pieces of information which are transmitted from the Pleiadian information network. The basic cell of society is not family as is the case on the surface, but soul family, where people meet and mingle according to soul connections they have. Their relationships are much more open,theexpression of emotional and sexual energies is allowed. Despite all their relationships are not completely harmonious since the Resistance Movement has not yet completelyemotionally recovered from severe battles with the Dark Forces a few years ago. Spiritual guidance of the Resistance Movement is the Atlantean Network. The Atlantean Network also consists of three circles. 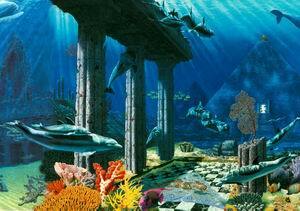 The inner circle are few dozens of priests from Atlantis that have retreated from the surface 25 thousand years ago. They still have the same physical bodies since they have reached immortality. They were completely isolated for all this time without any contact with the surface in order to preserve the purity of their consciousness. They are the last unchannged remnant from Atlantis. They live together on a specific energy point inside the Himalayas and are connected in a special way with the Great White Brotherhood of Ascended Masters and with the Lord of the World, Sanat Kumara. Their purpose is to be an inmermediary between the world of Ascended Masters and the world of unascended human beings. Simply because we have lived in this type of places in previous lives in other planets of our universe. Some of them are the heavenly mansion worlds of Jerusem, others maybe the Arcturian or Sirian planets, where everything seems etheric, high in vibration, purer and more vivid. Then we came to Earth and everything changed. We forgot our galactic past and got this prison planet as our new home. Wonderblasting mission, Tom, happy that you´re among us here. Uma gratidão sem tamanho ou do tamanho do todo e do tudo ; por chegar até mim toda esta informação , um grande bem aja a todos os que tornaram isto possivel , a alegria que sinto é tão grande que não há palavras para a definir !… Namastê , Namastê ,Namastê !!! Únase a la Comunidad Brother Veritus y allí aprende más. Sería usted, Aurora, el primer miembro de habla portuguesa allí. Bendiciones. 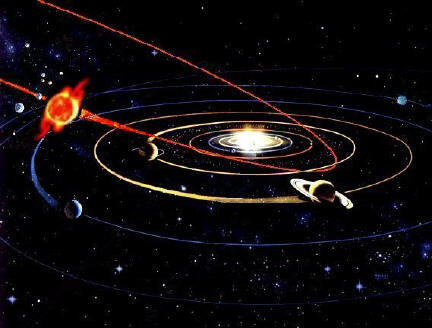 Yes, we will have the Solar Flash which will allow to enter to the solar system a big high frequency energy that will transform our DNA and our consciousness.